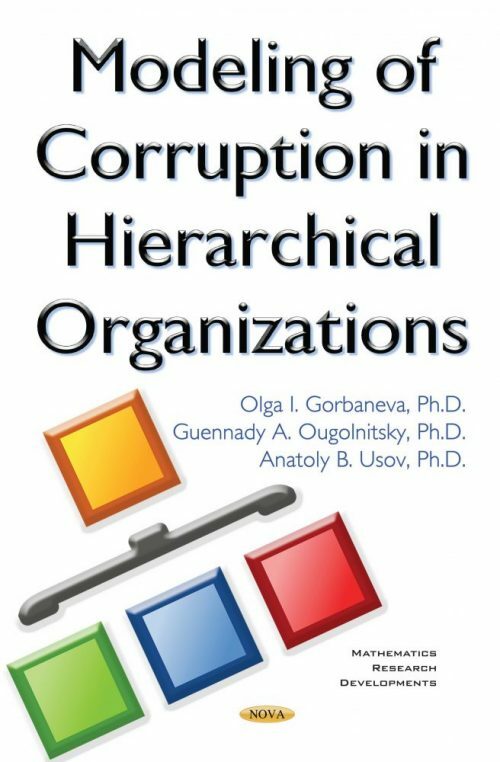 This book focuses on hierarchical organizational structures. Secondly, the authors perform modeling in the context of solving control problems. Next, the conditions of corrupting a major task of control consisting of ensuring sustainable development of modeled hierarchical organizations are reviewed. Here, the authors proceed from the original concept of sustainable management (Ougolnitsky, 2002, 2005, 2010, 2011; Ougolnitsky and Usov, 2010-2014). In contrast to the classical approach of G. Becker and S. Rose-Ackerman (which states that the efficiency of anti-corruption struggle is defined via comparing losses due to corruption and the costs of such measures), the above concept applies certain requirements of sustainable development of a modeled system with proper consideration of economic restrictions. Finally, the empirical base and identification of mathematical models is examined.